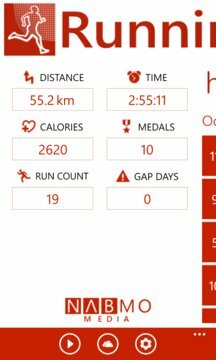 Running Mate is a GPS based fitness app which helps you track and analyse your workouts. With its modern UI it will surely delight you and blend into your Windows Phone echo system. Running Mate is developed keeping your privacy in mind. This app doesn't store or transfer your data to remote servers. All of your personal information stays under your control inside your phone or your OneDrive. Running Mate is not just for running, it is also your best buddy for cycling and walking. No setup, no accounts, just simple fitness! 7. Earn medals as you achieve different levels. 8. 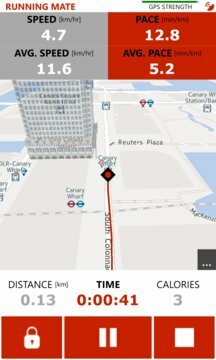 Distance and time based split notifications. 9. Export your runs to GPX file format.